China’s leading location-based social service is distributing NFC window stickers to more than 3,000 merchants in Shanghai, Guangzhou, Chengdu, Taipei and Hong Kong. 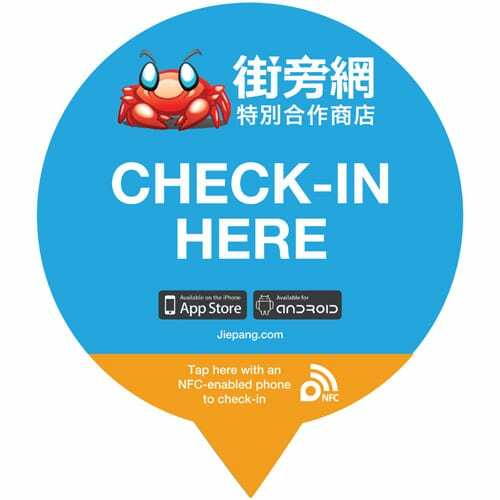 Jiepang is to distribute NFC window stickers to more than 3,000 merchant partners in six cities in Greater China, including Beijing, Shanghai, Guangzhou, Chengdu, Taipei and Hong Kong. Jiepang is China’s leading location-based social service. Its users currently check in and earn rewards via a GPS-enabled smartphone app which comes preloaded on all new HTC, Sony Ericsson, Nokia and other smartphone brands in China, including all three of the new Nokia NFC smartphones announced earlier this week. Consumers use the service to check in to locations as well as to share tips, photos and comments. The system also automatically sends this information to a number of social networking platforms, such as Twitter and Facebook as well as local networks, so that friends and followers are notified whenever a Jiepang user checks in to a particular merchant. Jiepang provides its fast growing network of merchant partners with a self-service platform they can use to provide offers to Jiepang users who check in to their locations, Leo Lee, Jiepang’s marketing and business development manager in Hong Kong, has told NFC World. The platform allows merchants to both choose the type of offer they wish to provide and set their offers so that rewards are triggered according to the kind of user actions they want to see. A reward can be offered, for example, each time a user checks in or only when they have checked in, say, three times during a set period of time. NFC offers a number of advantages over GPS to both users and merchants, Lee told NFC World. “NFC is a lot easier and convenient” for users, he says, and merchant partners can be sure that, when a user checks in, they really are present at their store. “GPS is not 100% accurate, you can be a few streets away,” explains Lee. The new service means that NFC phone users will be able to simply touch their phone to a window sticker in order to check in to a location and register their eligibility for a reward. Then, once they have fulfilled the criteria for a given reward, a mobile coupon for that merchant will be delivered to their phone. Jiepang users then simply show the coupon to the merchant in order to redeem it. Once accepted, the merchant voids the coupon by pressing an on-screen ‘void’ button on the customers’ phone. • Additional reporting by LiYu Tseng.